Miramar Beach is located in Destin, Florida and is arguably one of the most beautiful beaches in the country. This beach offers sugary white sand and beautiful water and waves for everyone to enjoy. Along the beach are several private homes, housing communities and condominium complexes just waiting to be rented out for your family vacation. Along the beach are not only wonderful vacation rentals, but also amazing restaurants that offer all of your favorite foods and activities. Wait on the beach while your table is being prepared, and while you're enjoying your dinner, look over your shoulder as the sun is setting along the horizon. Make sure you make the short trip to one of the many golf cart and bike rentals to give your family a new adventurous experience they will take home with them. Then, take your golf cart rental on down to one of the souvenir shops like Alvin's Island, to choose one of the many gifts for yourself and your family and friends at home. ECBYO provides you direct contact with condo and beach home owners and managers. You can use the Email Owner button or phone number located on each listing. Booking direct with the owner is the best way to save on booking fees. 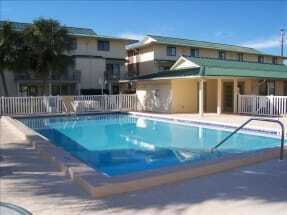 Browse our Miramar Beach lisitngs below and find the perfect one for you! Spacious Gulf Front 3BR 3.5BA home!